One of the American rapper, singer, songwriter and record producer is Jacques Berman Webster II who is professionally known as Travis Scott. He is the well-known celebrity. Travis Scott is born on April 30 1992 at Houston, Texas, U.S. his full name is Jacques Berman Webster II. He was raised in Missouri city. His father had his own business and mother worked for AT and T. he lived with his grandmother. He attended private elementary school and graduated from Elkins High School. He also attended University of Texas at San Antonio but was dropped out. After dropping out he went to New York and started his music career. Travis Scott height is 1.78 m and weight is 67 kg. The color of his eye is Dark Brown and hair is Black. He has the balanced and healthy body. 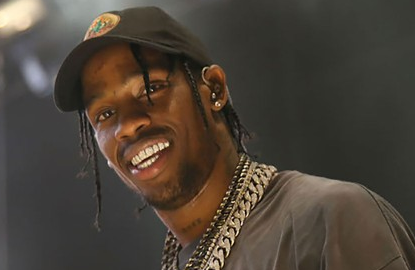 Travis Scott started his musical career as record producer at the age of sixteen. He entered from the partnership with his friend Chris Holloway. They released their first EP on social networking website, Myspace. They formed the group The Classmates. They released two projects as Buddy Rich in 2009 and Cruis’n USA in 2010. Travis Scott released his first solo project titled as Owl Pharaoh in 2012. Later it was re-created by Kanye West and Mike Dean. He also released Days Before Rodeo on 13 March 2014. Travis Scott released on 4 September 2015 by Grand Hustle and Epic Records. The album also featured guest appearances. It became the number one on Billboard Rap Albums chart. He also has the new studio album on 4 January 2016. With Young Thug, he also released the album “Classic” and title as Pick up the Phone. He was certified double platinum by the Recording Industry Association of America (RIAA). He also announced Birds in the Trap Sing McKnight was finished finally. On 16 February 2017 Travis Scott performed in All-Star Weekend in New Orleans at Champion Square. He also announced he would be doing a European leg of “Birds Eye View Tour” at 15 June 2017. He also has a collaborative album which released in 2017 with Atlanta-based rapper Quavo of Migos. The song picked up at number nine in Billboard Hot 100. He released three new tracks on SoundCloud on 16 May 2017. He and Quavo released their collaborative album Huncho Jack, Jack Huncho on 21 December 2017. 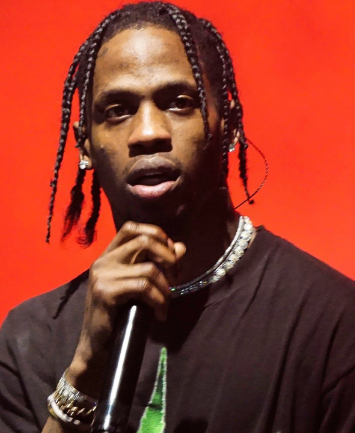 He also stated the first quarter release for AstroWorld featuring Kanye West and Lil Uzi Vert and released on 3 May 2018. Travis Scott’s dated Chantel Jeffries in 2015, Rihanna in 2015-2016, Karrueche Tran in 2016 and Kendall Jenner in 2016. Travis Scott is not married. But currently is in relationship with reality television star Kylie Jenner in April 2017. The couple has child. The first child is daughter and her name is Stormi Webster. Travis Scott’s net worth is estimated to be $8 million for the year 2018.